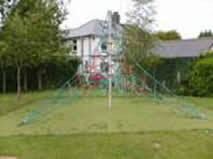 At St Michael’s School we have extensive grounds that are used to enhance learning and promote positive play. 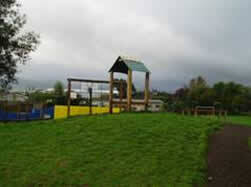 We have a large field, two environmental areas with ponds, an orchard and three playgrounds. 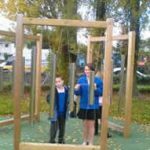 Play leaders encourage children to play in a purposeful way and be more actively involved in the environment during break times. 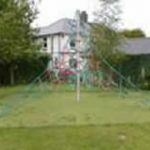 In our playground we have a large play area, outdoor musical equipment, a climbing wall, trim trail, spider’s web and look out tower! 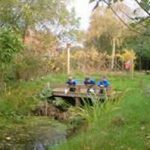 We have a ‘secret garden’, which has been designed with the children to allow them to gain first hand experience of nature. 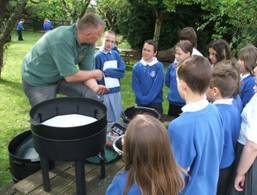 We actively recycle our rubbish and have compost bins and an organic wormery. 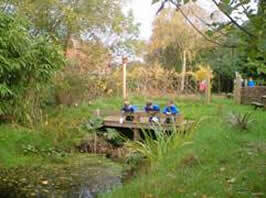 The secret garden offers children a chance to reflect and have a quiet time. 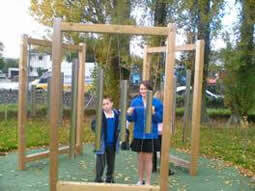 The grounds are used to enhance the quality of learning and children can often be outside at all times of the year. 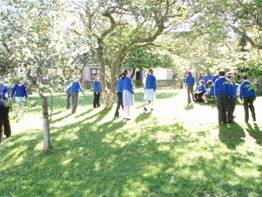 In the summer months children are able to eat their lunch in the Orchard. 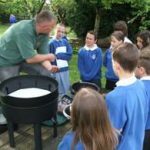 All children are actively encouraged to care for the environment and their surroundings. 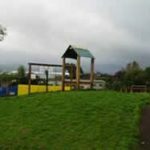 All classes take responsibility for areas of the grounds. 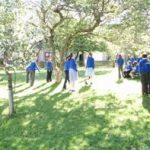 In the past we have planted over 150 trees and weaved willow fences as well as growing our own vegetables and the produce is used in school at break and lunchtimes. 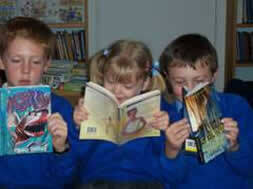 We cater for children aged from 3 to 11. Most classes are housed within the main building. Three classes are housed in the Orchard Rooms next to the playground. We also have two additional buildings, the Green Room where the “before and after” school club is held and the Pound House which has a staff working area, teaching/meeting area and kitchen. The kiln is also located here. The Pound House and Green Room are used for many activities during the day, including a school counselling service, music lessons and parent workshops. We have three visiting music teachers and children have the opportunity to learn guitar, keyboard and drums, all offered at a reasonable cost. The ICT (Information and Communication Technology) suite is well equipped with seventeen computers. Children use ICT in all areas of the curriculum and have access to the Internet, movie recording equipment, computer microscopes, programming activities and data logging software. We operate a wireless network and children are able to access ICT in the classrooms by using laptops, PC’s, and iPads. Each class has an interactive whiteboard. The non-fiction and fiction libraries can be found in the main building. Children are encouraged to read on a daily basis in school and at home and are given an individual planner to support this. 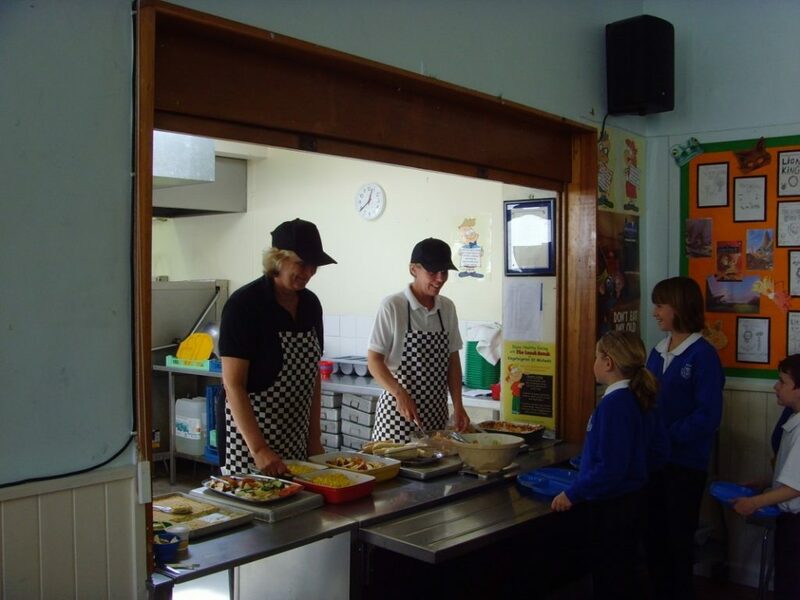 School meals are freshly prepared on the premises using quality ingredients. We were the first primary school in Teignbridge to receive a silver award for the nutritional standards of our meals. Our menu includes a main and vegetarian option, sandwiches or baps, jacket potatoes and a dessert. Salad, vegetables and yoghurts are available daily. Children choose their meal option in the morning to ensure they have their choice at lunch time. We actively encourage our children to eat healthily. Children are encouraged to bring in fruit at break times. Toast and drinks are available to buy during break time.